Here at Mosher Motors, we’re the dealership you are looking for when you need the best parts and accessories for your Ford vehicle. Mosher Motors only carries original Ford parts and accessories straight from the manufacturers themselves. That way, you know you’re only getting the best quality parts designed for your vehicle and the most optimized driving experience imaginable. Everything from custom wheels to LED headlights are at your disposal, so let our parts department help you customize your Ford vehicle the way you want at Mosher Motors. Out of all the Ford dealers Nova Scotia has to offer, come to us for all your vehicle’s needs. For Mosher Motors, a vehicle dealership goes hand in hand with a finance department because we believe it is our job to facilitate the buying process for our customers. Ford Credit is a leader in the automotive financing industry and here at Mosher Motors we offer a variety of Ford Credit’s financial services. 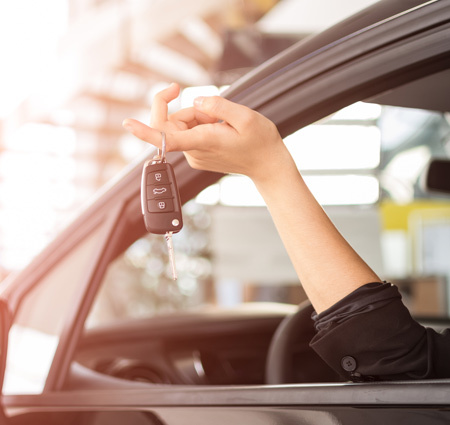 Our finance experts can answer your questions about financing a vehicle and they can also explain the benefits of leasing and financing and provide you with the necessary information to help you make the financial decisions that best suit your goals and budget. At Mosher Motors, we will also walk with you through our simple and stress-free credit application process which is much faster than the conventional procedure employed by other financial institutions. Applying for Ford credit is a convenient, secure and fast process. You’ll get your credit decision within 24 hours or 48 hours during a busy period. Our simple 3-step procedure gives you the option to finance or lease your vehicle and receive a credit decision from the comfort of your home. When purchasing a new vehicle, it is important to keep two things in mind: budget and comfort. That is why at Mosher Motors, we highly encourage our customers to book a test drive before concluding their purchase. After all, it’s all about being fully satisfied with the vehicle you are about to purchase! At Mosher Motors, we are proud of our excellent service department! And this outstanding service would not be possible without the hard work of our dedicated staff members. We have services ranging from the regular scheduled maintenance, tire rotation and balance, front-end alignment, coolant service to transmissions flush and other services. Choosing the right parts can help improve your vehicle’s performance. This is why we carry a huge selection of quality Ford parts at Mosher Motors! So find and order the perfect part for your Ford vehicle today with the help of our parts experts. We want the best for you and your vehicle! Welcome to Mosher Motors, your Bridgewater Ford Dealership in Nova Scotia. We are here to help you find, maintain and repair your new or used Ford vehicle. Mosher Motors is happy to help you and walk with you on this exciting adventure! We have an incredible lineup of new and used Ford cars, SUVs, Trucks, Vans and even Hybrids and EVs; the choice remains yours to make! Additionally, we offer complimentary services and products such as financing services and Ford vehicle accessories. Come and visit us at Mosher Motors because we have what you are looking for in the Bridgewater area! We serve customers in Bridgewater, Hebbville, Liverpool, Chester and Lunenburg areas. We are looking forward to serve you! Nice staff .they got me in right on my appointment .good service . Great service today! Thank you George and Mark! Find your service great. All staff present a professional but personable demeanor. All services rendered clearly explained supported by invoice attachments/checklists for reference if needed. Clean waiting area or courtesy drive and pick-up available if necessary. To date no perceived unnecessary or pressure service selling and any warranty issues fully satisfied. Would recommend with no hesitation. I found the service people at Mosher motors very helpful in resolving my problem.